If Beyonce swinging her baseball bat, nicknamed Hot Sauce, in the music video for “Hold Up” seemed like a good stress-reliever for you, Lemonade Rage is here to give you the closest experience you’ll get. 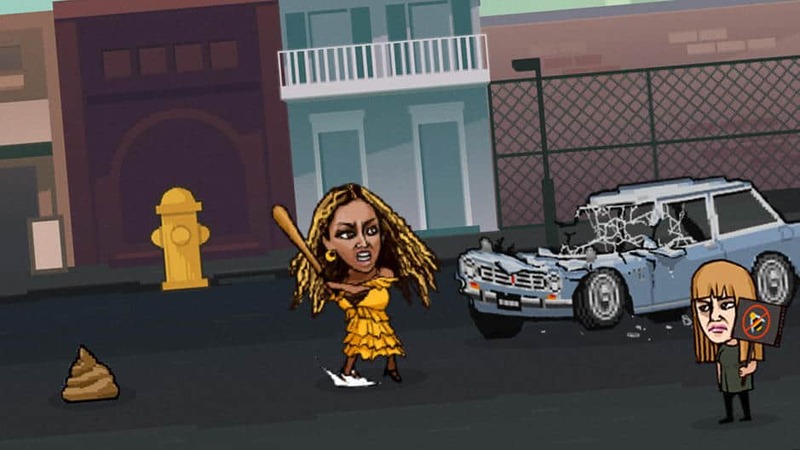 The game, made by four creatives in their spare time, is a 8-bit style internet game where you play Beyonce and stroll through the streets smashing things with your very own Hot Sauce. And it’s right on time, considering many people think Beyonce was robbed of the recognition for Lemonade at this weekend’s Grammy Awards. We had the idea back when the Lemonade film came out. … We knew the “Hold Up” video would make a really fun game. We wanted to launch with the Grammys, and then when people were feeling like she got snubbed, the fact that she’s running through the street smashing stuff I think resonates pretty well with people. Enjoy the stress reliever with “Hold Up” remixed in the background.